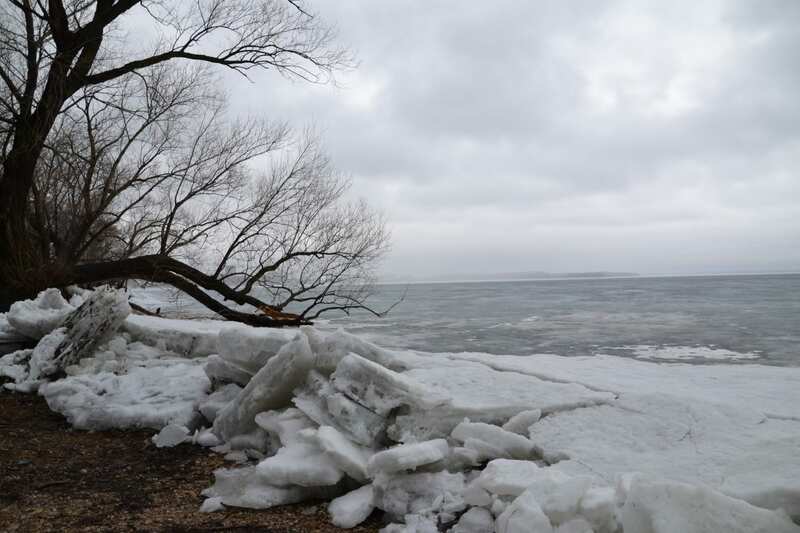 After a long stretch of dry and hot weather, the Lake Winnebago region received some heavy rain the past several days. The hot weather has driven water temperatures sharply higher, with average water temps on the main lake around 81 degrees. On the upper lakes, water temps have been as high as 88 degrees on Saturday. 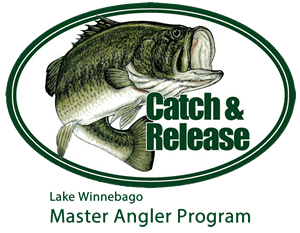 Water clarity is restricted on Lake Winnebago, with a solid stain to the water after the recent rains. Weed debris is widespread, floating at or near the surface. The floating debris has been caused by boat traffic and recent winds associated with the heavy storms. Additionally, broken tree branches were common near the rivers, which have washed down the system. The algae bloom is strong especially on the wind-blown side of the lake. Currently, the south end has a heavy bloom, where the top surface water resembles pea soup. A large number of anglers are focused on the strong perch bite. 25-fish limits were increasingly common in some parts of the lake. Perch have averaged 7-10 inches, with some exceeding that size range. Just outside of Fond du Lac, large schools have been present in the shallow mud zone in about 6-10 feet of water. 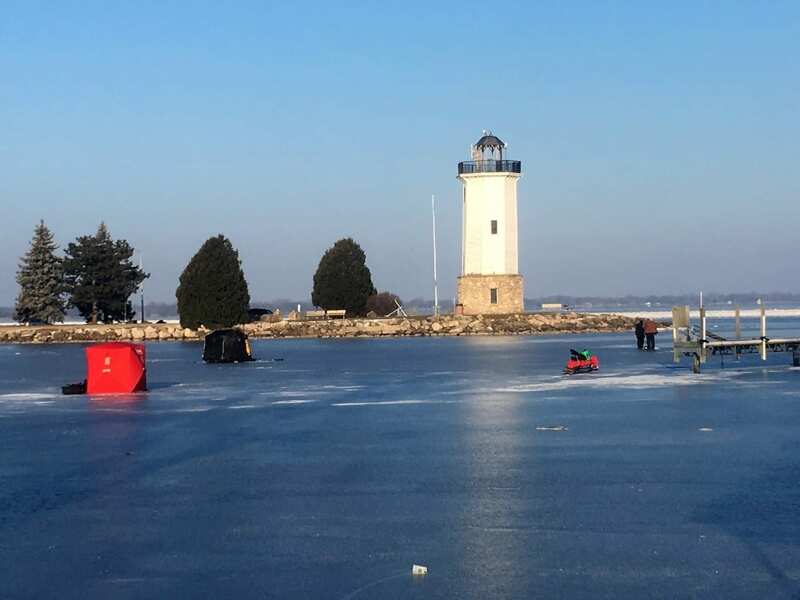 Other vital areas for perch in Lake Winnebago include near Fisherman’s Road launch, outside of Abrahams Reef, near Stockbridge launch, the Third Reef and north of the Garlic Island complex. Various tactics are being used to produce the perch. While crawlers/red worms are working well for meat, the perch have been moving throughout the bottom third of the water column. On windless days, slip bobbers have done very well a foot off the bottom. On windy days, bottom-feeding fish can be caught on dead sticks directly off the bottom. Walleyes remain active and are often in the catches of perch. 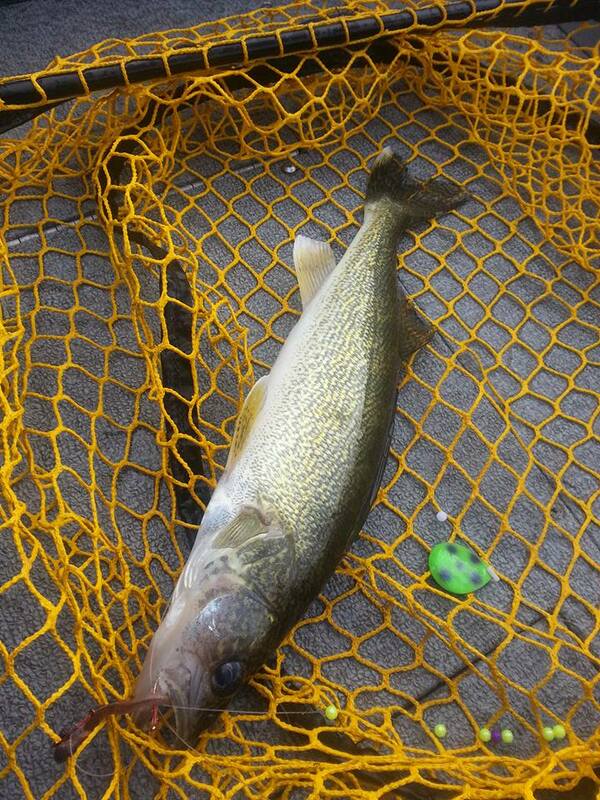 The warm water temps have the walleyes aggressively chasing food in the systems. Like the perch, the walleyes will suspend higher in the water column on calm days. There remain larger schools of ‘eyes in the mud and they tend to be moody. 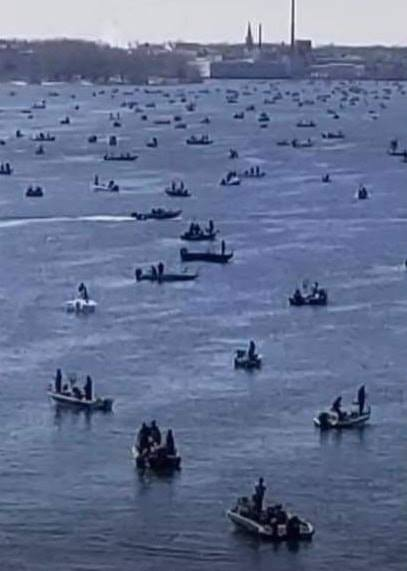 Day by day the bite has changed, and anglers need to be open to many tactics to attract walleyes. Crawler harnesses have been the predominant tactic. Systemwide, sheepshead have been feeding vigorously. Weed walleyes are also present, many in the 12-18” ranges. Look to the openings in the weed patches and pitch a jig/crawler or 3-4” plastic into the holes. Windblown weeds are an added plus. On Saturday, I ran crankbaits up high (4-6 feet down in 17 feet of water), and found larger walleyes feeding in the top third of the water column in the calm conditions. It was a smaller crankbait bite (4’s and 5’s), as size 7 and larger cranks produced nothing. Natural colored baits worked much better than the brightly painted lures. My average sized walleye on Saturday was an impressive 22”. Running the crankbaits at speeds over 2.0 mph was creating reaction bites, and the baits were fully consumed. The Fox River in Oshkosh continues to produce a smorgasbord of species. Small to average sized white bass have been associated with many of the bridges throughout town. Perch and walleyes have also been common. Catfish are very active in the center river channel. 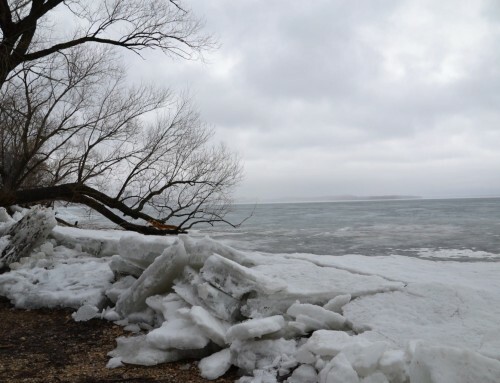 Since the river can offer deeper holes and cooler water temperatures, this is a natural transition for many fish to get away from the warmer water of the upper lakes, especially when there is water current. On Lake Buttes des Mortes, the main river channel continues to produce walleyes on crankbaits. Shallow water areas have had pike associated with the weed lines. Unfortunately, I’ve had no recent reports from Lake Poygan. 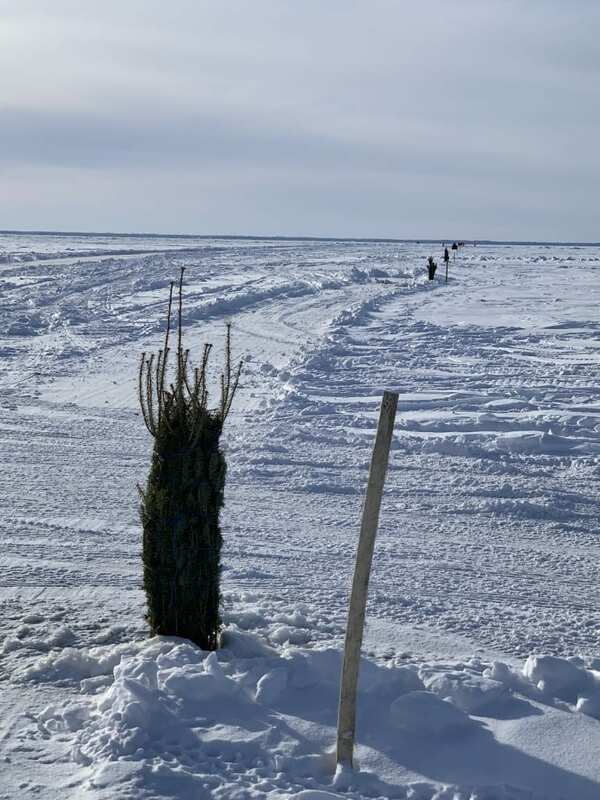 On Sunday, the ‘Bago Walleye Club held its final event of the year. The winners brought in just over 14 pounds of walleyes, with the biggest fish of the event weighing in at 5.58 pounds. Many of the June tournaments were averaging over 20 pounds for the winners, so there has been a significant drop in overall tournament weight. Just less than 10% of the field registered zeros. 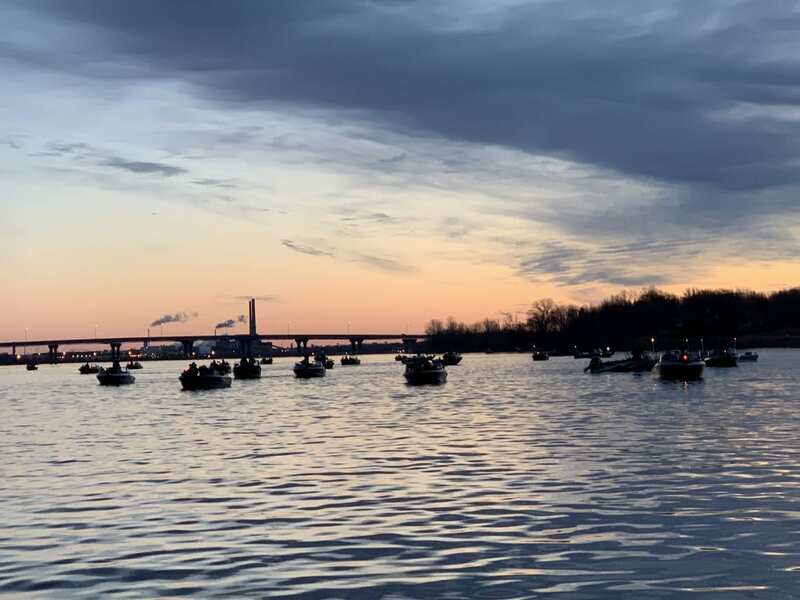 At this point of the season, very few walleye tournaments remain in 2018 on Lake Winnebago. Just an FYI, The Bay of Green Bay is on fire for larger walleyes right now. Lake Michigan is also red hot for trout and salmon.